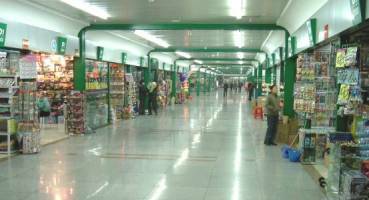 "The" market of Yiwu is in fact composed of a succession of several markets spread over the city. There are about twenty markets, some of which are gathered in the same building. Yiwu succeeded in attracting companies from Eastern China (from Beijing to Guangzhou, including Shanghai and the neighbouring regions, which are the most active from an economic point of view) and then it became the biggest small commodities export centre. Today, the different markets of Yiwu cover an area of around one million square meters, with more than 320000 items classified in 1502 different categories... thus Yiwu is the biggest supermarket in the world, but also the most important exhibition centre for small commodities. As a result, every day, more than 1000 containers leave Yiwu. This makes Yiwu an obliged way in the international trade landscape. * List courtesy of - Export services & Quality control of your goods in Yiwu.